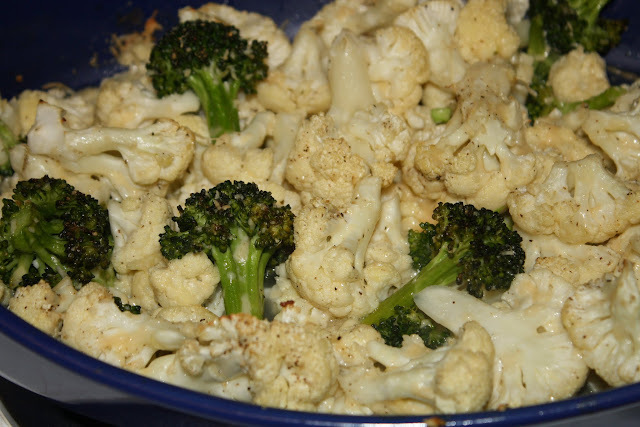 Little Mrs. Married: Oven Roasted Cauliflower (with a little broccoli thrown in). Oven Roasted Cauliflower (with a little broccoli thrown in). 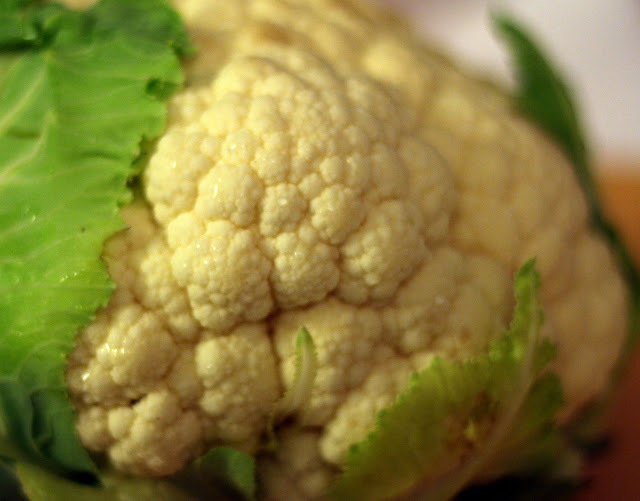 I bought a head of cauliflower & a stalk of broccoli at the farmer's market last weekend. I also have a really bad habit of letting things like this go bad, because either i'm too lazy to chop it up, or I want to try something new & wait too late! This time, i didn't let it go bad! Woohoo! 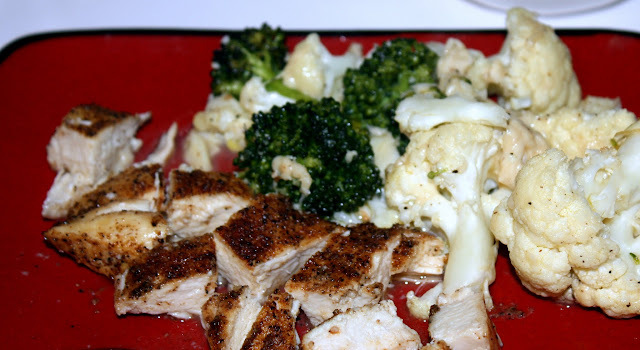 I'm so glad I didn't let it go bad, because this dish, which i pinned some time ago, was healthy & delicious! 2.) 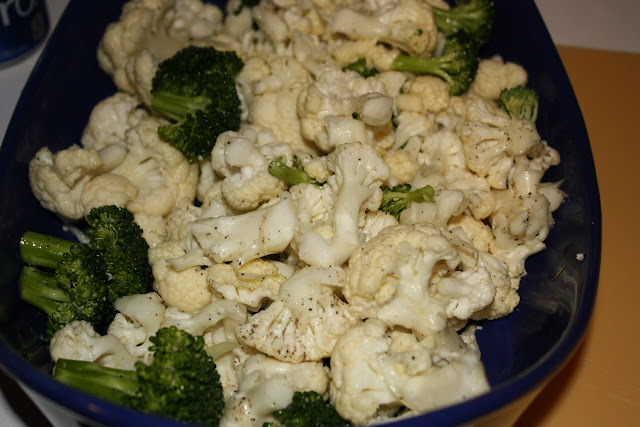 Throw cauliflower in a bowl. 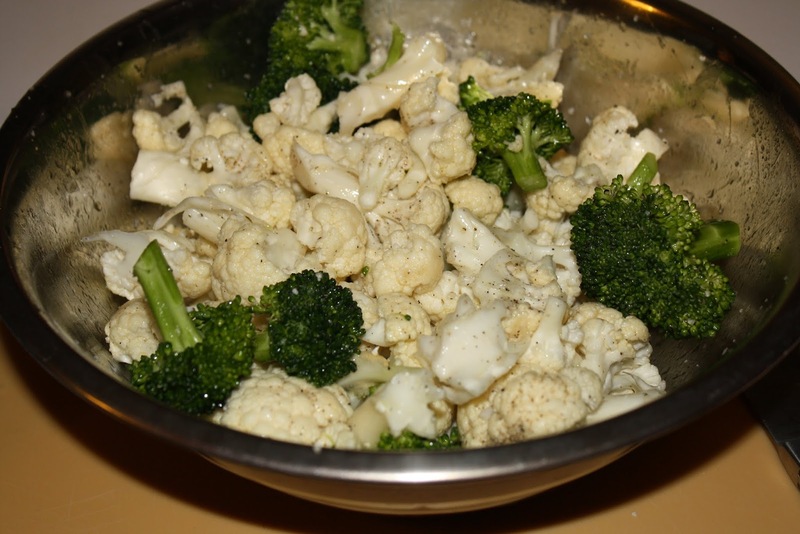 Toss with EVOO, salt, pepper & garlic. 2.) Throw into a casserole dish. 3.) Roast in oven for 25 minutes, stirring once. Top with cheese. Bake a little longer. SERVE! It was SO GOOD, y'all. 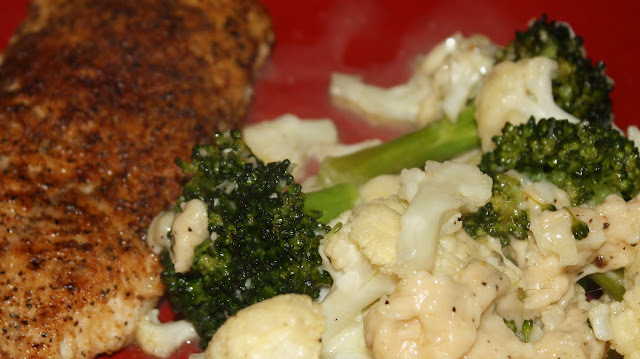 Side note: I made this at the same time as The Perfect Chicken, which requires 25 minutes in a 350 degree oven. Therefore, i put this in the oven with the chicken on 350 and then up'd the temp to 450 & baked a little longer when the chicken was done.